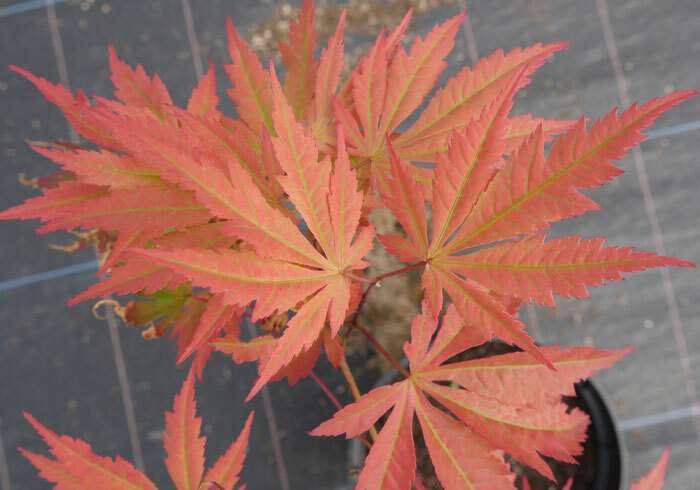 The unusual red tone of the leaves distinguish this cultivar. It has a slight purple hue with an undertone of green showing through. New foliage is yellow-orange that has a 'dusty' appearance. Leaves change mid-summer to a deep green with a reddish cast to the surface. The leaves are seven-lobed and the autumn colour is a beautiful deep red.